Washington, DC – On the anniversary of the first Travel Ban’s signing, U.S. Senator Chris Murphy (D-CT) and Representative Judy Chu (D-CA/27th) introduced legislation in the Senate and House of Representatives to reverse the Travel Ban 3.0 and block its implementation. If passed, the legislation, S.246 and H.R.810, would withhold funding to enforce the executive order and is similar to legislation Sen. Murphy and Rep. Chu introduced in the 115th congress to block all three different iterations of President Trump’s Travel Ban. 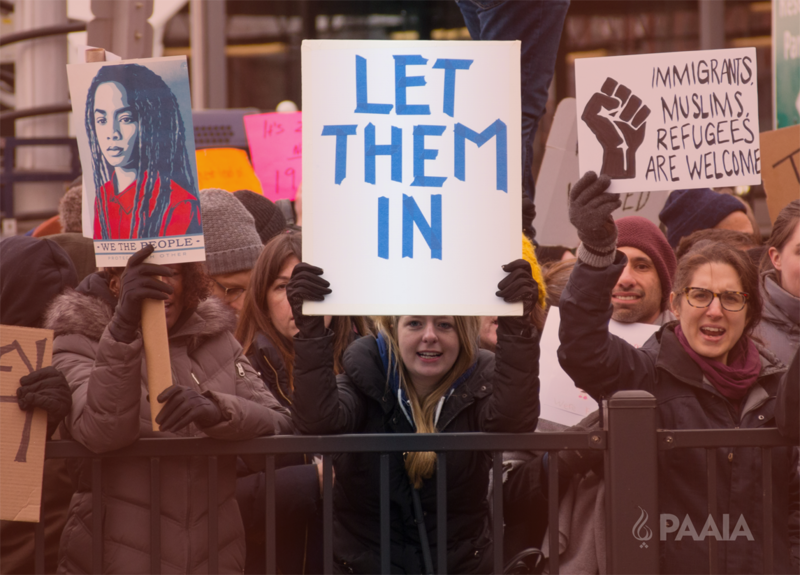 PAAIA applauds Sen. Murphy and Rep. Chu for their efforts to block this ineffective and anti-American policy by introducing this necessary legislation, and we strongly encourage other members of Congress to support their efforts. The legislation in the Senate currently has 27 cosponsors, while the legislation in the House has 48 cosponsors. Ask your members of Congress to support this legislation! Iranian nationals make up the largest number of immigrants or non-immigrant visitors among the countries listed in the ban and already undergo extensive security screening. Unfairly targeting the Iranian people undermines the solidarity between the peoples of both countries and overlooks the countless contributions Iranian Americans have made to the security and economic prosperity of the United States. Whether Congress decides to act is up to you. Take action now!